Win a trip to Myrtle Beach & more! ENTER SWEEPSTAKES HERE – Entenmann’s Sweepstakes page. ENTRY LIMIT – Limit one (1) Entry per person per day for the duration of the Sweepstakes Period, regardless of method of entry. ELIGIBILITY – Sweepstakes is open to legal residents of the United States and the District of Columbia who are 25 years of age or older as of date of entry. 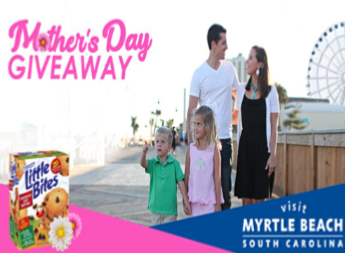 SWEEPSTAKES ENTRY PERIOD – The Entenmann’s® Little Bites® Mother’s Day Visit Myrtle Beach Sweepstakes (the “Sweepstakes”) starts on April 15, 2019 at 8:00 a.m. Eastern Time (“ET”) and ends on May 12, 2019 at 11:59 p.m. ET. PRIZES – GRAND PRIZE (1): Winner will receive a trip that includes three (3) nights, four (4) days oceanfront hotel accommodations for themselves and up to three (3) guests (one (1) adult guest and two (2) minor guests up to a total of four (4) people) in Myrtle Beach, SC within the 2019 calendar year, with the exception of limited blackout dates (hotel chosen by Visit Myrtle Beach). The trip also includes roundtrip, coach class air transportation for guests from a major U.S. gateway airport (up to $400 per person) near winner’s residence to a Myrtle Beach, South Carolina area airport, a $500 Tanger Outlets shopping gift card, and a $100 dining credit. Approximate Retail Value (“ARV”) of Grand Prize package: $2,625. Blackout dates apply to the weekends before and after Easter and the months of July and August. Most hotels in the area require one (1) guest to be 25 years of age or older to check-in. Other restrictions may apply. Any additional air or ground transportation necessary to redeem prize, or additional fees including service charges, meals, beverages, souvenirs, incidentals, gratuities, phone calls, travel insurance, and any and all other expenses not specifically mentioned herein are the sole responsibility of the winner. Winner and guests are responsible for and must already own all necessary travel authorizations such as passports, visas, and/or government identification. No transfer, assignment, change of the prize, or cash substitution is permitted, except at the sole discretion of the Sponsor. If a winner cannot be contacted or is disqualified, the Sponsor reserves the right to determine an alternate winner in its sole discretion. Unclaimed prize will not be awarded. Other restrictions may apply. If a winner resides within a 100-mile radius of Myrtle Beach, South Carolina, ground transportation will be provided in lieu of air transportation and no compensation or substitution will be provided in lieu thereof. Actual value may vary based on point of departure and number of guests on trip. In the event winner elects not to travel with an adult guest or elects to travel with less than two (2) minor guests no compensation or substitution will be provided in lieu thereof. WINNER’S LIST – For the names of the winner (available after May 22, 2019) send a self-addressed, stamped, envelope by June 22, 2019, to: Retail Sports Marketing, Inc., P.O. Box 481925, Charlotte, NC, 28269, USA, Attn: Little Bites® Mother’s Day Sweepstakes. RULES – See sweepstakes rules here. 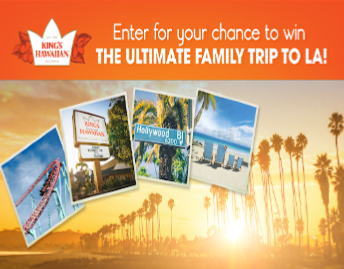 KING’S HAWAIIAN Family Fun Sweepstakes – Win a trip to Los Angeles! Win a trip for 4 to Los Angeles & more! ENTER SWEEPSTAKES HERE – King’s Hawaiian Sweepstakes page. ENTRY LIMIT – Limit one (1) entry per person per email address and per household for the entire Sweepstakes Period. ELIGIBILITY – OPEN TO LEGAL U.S. RESIDENTS RESIDING IN THE CONTIGUOUS UNITED STATES OR THE DISTRICT OF COLUMBIA THROUGHOUT THE PROMOTION PERIOD WHO ARE 21 YEARS OF AGE OR OLDER AT THE TIME OF PARTICIPATION. SWEEPSTAKES ENTRY PERIOD – Sweepstakes will be held from 12:00 a.m. Eastern Time (“ET”) on April 1, 2019 through 11:59 p.m. ET on April 22, 2019. The Approximate Retail Value (“ARV”) of Grand Prize is three-thousand-two-hundred-dollars-and-no-cents ($3,200.00). WINNER’S LIST – For the name of Winner (available after May 30, 2019) mail a hand-written request and a self-addressed, stamped envelope to: National Cable Communications, Attn: NCC Promotions, 405 Lexington Avenue 6th Floor NY, NY 10174, for receipt by May 30, 2019. 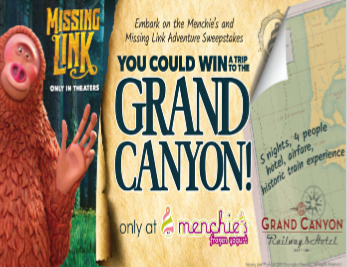 Menchie’s Missing Link Adventure Sweepstakes – Win a trip to the Grand Canyon! Win a trip to the Grand Canyon! ENTER SWEEPSTAKES HERE – Menchie’s Sweepstakes page. ENTRY LIMIT – LIMIT one entry per day, per person, per email address will be allowed regardless of the method of entry. ELIGIBILITY – Sweepstakes is only open to legal residents of the 50 United States, including the District of Columbia who has the age of majority in his or her state or territory of residence as of the Sweepstakes start date. SWEEPSTAKES ENTRY PERIOD – Menchie’s Missing Link Adventure Sweepstakes begins at 12:00 a.m., Eastern Time (“ET”) on April 1, 2019 and ends at 11:59 p.m. on April 30, 2019. PRIZES – One (1) Grand Prize Winner will receive a family trip package for winner and up to three (3) guests. The trip package includes round trip airline tickets from a major airport closest to Grand Prize Winner’s residence to Phoenix, AZ. The Grand Prize Winner and guests must all fly on the same itinerary and all tickets must be reserved together. Also included is hotel accommodations for four (4) people that includes three (3) standard room nights at the Grand Canyon Railway & Hotel located in Williams, AZ and two (2) standard room nights at the Maswik Lodge North located in the Grand Canyon National Park. Also included are up to four (4) tickets to the train experience valid for Pullman, Coach, or First Class service which travels daily from the Grand Canyon Railway & Hotel to the South Rim of Grand Canyon National Park. A check for $250 will also be sent to the Grand Prize Winner to help cover any additional expenses. All reservations are subject to availability and some blackout dates may apply. Sponsor reserves the right to substitute additional ground transportation for air transportation if Grand Prize Winner resides within 150 miles of the Location. Grand Prize Winner is solely responsible for any additional expenses not expressly stated in the prize description above including any taxes, additional transportation, meals, service charges, tips, and any other personal charges, including but not limited to incidental travel costs due to reserving any higher priced package or any fee applied as a result of a change in the reservation, etc. The trip must be taken by April 30, 2020. Approximate Retail Value (ARV) of the prize is $4,750. Total prize pool ARV is $4,750. WINNER’S LIST – To request confirmation of the name and address of the Grand Prize Winner, please send a self-addressed, stamped business size envelope by May 10, 2018 to: Menchie’s Missing Link Adventure Sweepstakes Winner’s List Request, 300 State Street, Suite 402, Rochester, NY 14614. Little Bites® “Bumblebee” Visit Myrtle Beach Sweepstakes – Win a trip to Myrtle Beach! Win a trip for 4 to Myrtle Beach, South Carolina! ENTRY LIMIT – Limit one (1) Entry per person per day for the duration of the Sweepstakes Period. ELIGIBILITY – Sweepstakes is open to legal residents of the fifty (50) United States and the District of Columbia, excluding residents of Alaska, Hawaii, and 21 years of age or older as of date of entry. 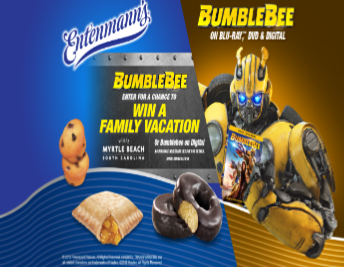 SWEEPSTAKES ENTRY PERIOD – The Little Bites “Bumblebee” Visit Myrtle Beach Sweepstakes (the “Sweepstakes”) starts on March 17, 2019 at 12:00 a.m. Eastern Time (“ET”) and ends on May 3, 2019 at 11:59 p.m. ET. A trip for winner and up to three (3) guests (one (1) adult guest and two (2) minor guests) to Myrtle Beach, South Carolina (2019 date mutually acceptable by both the winner and the Sponsor). Trip consists of four (4) roundtrip, coach class air transportation tickets from a major U.S. gateway airport near winner’s residence to a Myrtle Beach, South Carolina area airport, seven (7) days and six (6) nights beach front hotel accommodations in Myrtle Beach, South Carolina (one room, quad occupancy), four (4) tickets for two (2) shows (show availability dependent on travel dates) to the Broadway Grand Prix, four (4) tickets to the Sky Wheel Myrtle Beach, four (4) tickets to the aquarium, four (4) rounds of mini-golf, one (1) $50 dining credit for winner only, and “Bumblebee car rental” (i.e., a yellow Chevrolet Camaro) for seven (7) days while on trip. Approximate Retail Value (“ARV”) of Grand Prize: $3,500. If winner resides within a 100-mile radius of Myrtle Beach, South Carolina, ground transportation will be provided in lieu of air transportation and no compensation or substitution will be provided in lieu thereof. Actual value may vary based on point of departure and number of guests on trip. Each winner will receive one (1) code to download a digital copy of the Bumblebee movie. ARV of each Second prize: $25.99. Paramount Digital Download Codes will be sent by email to Second Prize winners. Each Paramount Digital Download Code is good towards one (1) digital download of the Bumblebee movie. Paramount Digital Download Code expires on May 3, 2020. WINNER’S LIST – For the names of the winners (available after May 17, 2019) send a self-addressed, stamped, envelope by June 30, 2019, to: Little Bites “Bumblebee” Visit Myrtle Beach Sweepstakes Winners, 255 Business Center Drive, Horsham, PA 19044. 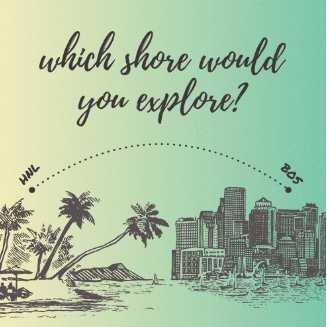 Hawaiian Airlines ‘Which Shore Would You Explore’ Sweepstakes – Win a trip to Hawaii or Boston! Win a trip for 2 to Hawaii or Boston! ENTER SWEEPSTAKES HERE – Hawaiian Airlines Sweepstakes page. ENTRY LIMIT – There is a limit of one entry per person/email address. ELIGIBILITY – Which Shore Would You Explore Sweepstakes is open to legal residents of the fifty (50) United States (including the District of Columbia and all United States territories) who, as of date of entry, are at least eighteen (18) years of age or the age of majority in their respective states/jurisdictions of permanent residence, as of date of entry. PRIZES – Grand Prize (1): Grand Prize (1): One (1) Grand Prize will be awarded, consisting of winner’s choice of a five (5) days and four (4) night trip for the winner and one (1) travel companion to winner’s choice of either Boston, Massachusetts; or Honolulu, Hawaii, in the form of 160,000 HawaiianMiles prize certificate and four (4) night hotel accommodations at a Sponsor-select hotel, one (1) standard room (based on double occupancy). The maximum ARV of the Grand Prize is $10,136. WINNER’S LIST – For winner’s name, available for ninety (90) days after May 25, 2019, send an email to: Winners@dja.comOpens external link to page that may not meet accessibility guidelines with WINNER & ‘01-2444-02 – Boston’ as the subject line. Winner List will be sent after the prize has been awarded. Kretschmar Section K CMA Fest® Sweepstakes – Win a trip to Nashville & more! Win a trip to Nashville, 2 tickets to the 2019 CMA Fest & more! ENTER SWEEPSTAKES HERE – Kretschmar Sweepstakes page. ENTRY LIMIT – One (1) entry per method of entry for a total of two (2) entries per day per person. ELIGIBILITY – Open to legal residents of the 50 United States and the District of Columbia, at least eighteen (18) years of age or the age of majority in the state you reside, whichever is older at the time of entry. 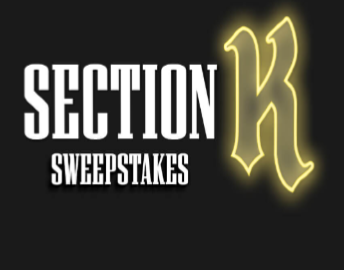 SWEEPSTAKES ENTRY PERIOD – The Kretschmar Section K CMA Fest® Sweepstakes entry period begins on Wednesday, March 6, 2019 at 12:01 a.m. Eastern Time (“ET”) and ends on Tuesday, April 30, 2019 at 11:59 p.m. ET. Round-trip (coach class) air transportation from a major gateway nearest the winner’s home address to Nashville, TN. If the winner’s home address is within 200 miles of Nashville, TN, ground transportation may replace air transportation as determined by Sponsor at its sole discretion. Four (4) nights (double occupancy) Hotel Accommodations. Hotel to be determined by the Sponsor at its sole discretion. Two (2) tickets to the 2019 CMA Fest June 6-June 9, 2019. $1,200 to cover misc. expenses, rental car (must be 25 years of age or older to rent a vehicle, plus have a valid driver’s license), meals, and incidentals. Prize awarded in the form of check payable to the winner. $3,000 to be used to assist in payment of any taxes due on prize award. Prize awarded in the form of a check payable to the winner. Approximate retail value (“ARV”) of this prize is $9,450. ARV may vary depending on market conditions and point of departure. Travel must be roundtrip. If flights are required, Sponsor will determine airline and flight itinerary in its sole discretion. No refund or compensation will be made in the event of the cancellation or delay of any flight. Travel and accommodations are subject to availability. Travel is subject to the terms and conditions set forth in this Sweepstakes, and those set forth by the Sponsor’s airline carrier of choice as detailed in the passenger ticket contract. All expenses and incidental travel costs not expressly stated in the package description above, including, but not limited to, ground, transportation, meals, incidentals, passenger tariffs or duties, airline fees, surcharges, airport fees, service charges or facility charges, personal charges at lodging, security fees, taxes or other expenses are the responsibility solely of the winner and his/her guest. Unless a child of the winner, travel companions must be eighteen (18) years of age or older as of the date of departure and must travel on the same itinerary and at the same time as the winner. Travel restrictions, conditions, and limitations may apply. Sponsor will not replace any lost, mutilated, or stolen tickets, travel vouchers or certificates. Actual value may vary based on airfare fluctuations and distance between departure and destination. Winner will not receive difference between actual and approximate retail value. Prizes are non-transferable, non-refundable, and no substitutions will be made except as provided herein, in the Sponsor’s sole discretion. Prize is not redeemable for cash (excluding cash prizes). Sponsor reserves the right to substitute a particular prize for one of comparable or greater value. Winner is responsible for any and all applicable local, state, and/or federal taxes and fees. Trip winner and travel companion must have valid travel documents (e.g., government-issued I.D., passport, etc.) along with any other travel requirements in order to travel by plane prior to departure, and failure to do so may result in forfeiture of Prize. Winner and his/her travel companion are solely responsible for satisfying all legally required conditions of travel. Winner must have a valid major credit card to check in to a hotel and to rent a car. Five (5) First Prizes: Each winner to receive a GoPro® Hero 7. ARV $400 each. Ten (10) Second Prizes: Each winner to receive Gold Beats by Dr. Dre. ARV $287 each. Fifteen (15) Third Prizes: Each winner to receive a custom Kretschmar Acoustic Guitar. ARV $200 each. Twenty-five (25) Fourth Prizes: Each winner to receive a $25 Spotify® Gift Card. Terms and conditions of the Gift Card apply. ARV $25 each. Fifty (50) Fifth Prizes: Each winner to receive a Kretschmar Logo T-Shirt. ARV $25 each. One-hundred (100) Sixth Prizes: Each winner to receive a Kretschmar Hat & VIP Coupon. ARV $15 each. WINNER’S LIST – To obtain the name of the winners, send a self-addressed, stamped envelope to: Kretschmar Section K CMA Sweepstakes Winner(s), PO Box 2312, Framingham, MA 01703-2312. All such requests must be received by June 12, 2019. Reser’s CMA Fest Sweepstakes & IWG – Win a trip to Nashville & more! Win a trip to Nashville, passes to the CMA Fest and more (4 winners)! ENTER SWEEPSTAKES HERE – Reser’s Sweepstakes page. ENTRY LIMIT – Limit one (1) play per person and/or per email address per day. ELIGIBILITY – Only legal United States residents who reside in one of the fifty (50) United States or the District of Columbia and are Eighteen (18) years of age or older are eligible to participate. 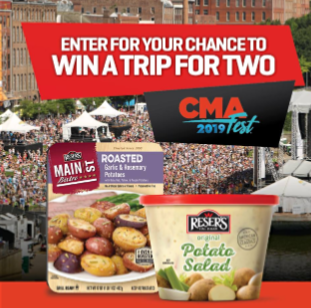 SWEEPSTAKES ENTRY PERIOD – RESER’S CMA FEST™ Sweepstakes begins on March 5, 2019 at 12:00 AM Eastern Time (“ET”) and ends on April 28, 2019 at 11:59 PM ET. PRIZES – The following Instant Win Prizes will be available during the Promotion Period. – Two Hundred (200) Reser’s Prize Packs. Prize will be a sponsor selected item(s) branded with the CMA Fest™ and/or Sponsor logo. Approx. Retail Value (“ARV”) of each Instant Win Prize: $25.00. awarded with a random winner selection from all eligible entries. – Four (4) Grand Prize Packages – A Grand Prize package consists of a five (5) day, four (4) night trip for a winner and one (1) guest to Nashville, TN, scheduled for June 6 – 9, 2019 including roundtrip coach air transportation between a major metropolitan airport near winner’s home and the Nashville International Airport, Nashville, TN; standard double occupancy hotel accommodations for winner and guest for four (4) nights at a hotel of Sponsor’s choice, two (2) 4-Day reserved seat passes to attend the CMA Fest™ including nightly concerts at Nissan Stadium; $150 in ride service (of sponsor’s choosing) credits and $300 spending money. ARV of each Grand Prize package: $4,700.00. WINNER’S LIST – For the names of the winners of prizes valued at more than $25.00, go to http://www.resers.com/country after 5/15/19. Evening’s Vacation to Aulani Aloha Sweepstakes – Win a trip to Hawaii! Win a trip for 4 to Hawaii! ENTER SWEEPSTAKES HERE – To enter, text the “Word of the Day” (revealed each night on Evening Magazine) to 33438. ENTRY LIMIT – There is one (1) way to enter and entries are limited to one (1) per person per round for the duration of the sweepstakes period. Each round lasts until 7:29 pm the day after a Word is shared (basically, you can enter from the time the word is announced until the next show starts – but only once each day during the time frame). 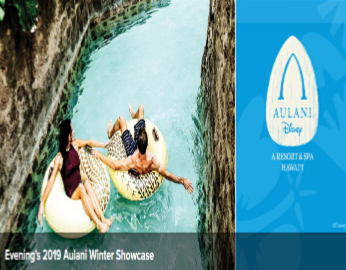 ELIGIBILITY – Evening’s Vacation to Aulani Aloha Sweepstakes is open to legal U.S. residents of the State of Washington who are 18 years or older. SWEEPSTAKES ENTRY PERIOD – The Sweepstakes will begin at 7:30PM PT on March 18, 2019 and end at 11:59PM PT on March 24, 2019. Additional restrictions and/or inclusions regarding the Trip may apply. Trip must be taken before March 15, 2020. Travel dates will be subject to availability. Flight details are subject to availability and airline carrier’s regulations and conditions apply. If travel is not taken before March 15, 2020, the prize will be forfeited without compensation of any kind. No changes will be made to travel details once any element(s) of the travel arrangements have been booked except in Disney’s sole discretion. Trips are pre-scheduled for specific dates and subject to availability. The approximate retail value (“ARV”) of the Grand Prize is Four Thousand, Six Hundred & Fifty Dollars ($4,650). WINNER’S LIST – For a copy of these Official Rules or name of winner (available after August 12, 2019 send a self-addressed, stamped envelope to “Winners List/Official Rules” (as applicable), “Evening’s Aloha Aulani Sweepstakes”, KING 5 Studios, 1501 First Ave South, Ste. 300, Seattle, WA 98134. Thanks to reader Casey B for the heads up for this sweepstakes! Sweepstakes in Seattle Weekly Round-Up 3/17 – Win a man cave, a Nintendo Switch, gift cards & more! Happy St. Patrick’s Day! Are you doing anything fun to celebrate? We’re having corned beef and cabbage. I make it in the crockpot, it’s so yummy! I hope you have some fun plans for today. Around here, it’s supposed to be a beautiful day! After you’ve enjoyed the day, pop on over to get caught up on the new sweepstakes. Maybe you’ll have the luck of the Irish and win some prizes! Let me know if you won a prize recently and I’ll share it on the next weekly round-up! Congratulations, winners – enjoy your prizes! Did you win a prize? I’d love to hear about it and share your winning story right here on the weekly round-up, just leave a comment on the blog. Number of entries allowed will vary. 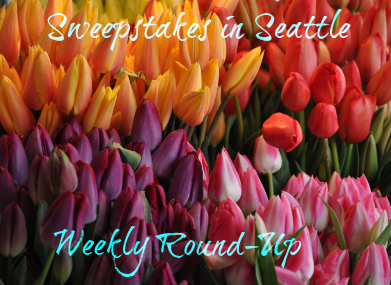 Sweepstakes in Seattle Weekly Round-Up 3/3 – Win a trip to Las Vegas, a cruise to Alaska, gift cards & more! It’s March already – hard to believe, but I am ready for spring! I spent the month of February fighting a nasty head cold. It’s mostly gone now, but still has me a bit rundown, but I’m trying to stay on top of the sweepstakes! Since it’s a new month, there should be quite a few new sweepstakes starting. Let me know if you won a prize recently and I’ll share it on the next weekly round-up! Danielle won a Oreo DJ Mixer from the Oreo IWG! DeAnn won a $10 Sonic e-gift card from the Oreo IWG! La Tortilla Factory Queso, Where’s The Party? Giveaway – Win a La Tortilla Factory Cinco de Mayo Party Kit! Cold Stone Creamery® UglyDolls Sweepstakes -Win a hometown screening of the movie UglyDolls!